According to police sources, there will more such FIRs against PAAS leaders and individuals. In a first, the Gujarat police booked a Patidar leader and ceramic trader, under sedition charges in Morbi district of Saurashtra region for allegedly inciting public and using offensive language against Chief Minister Anandiben Patel, Prime Minister Narendra Modi and BJP national president Amit Shah. The accused is said to be a close associate of Patidar Anamat Andolan Samiti (PAAS) leader Hardik Patel. 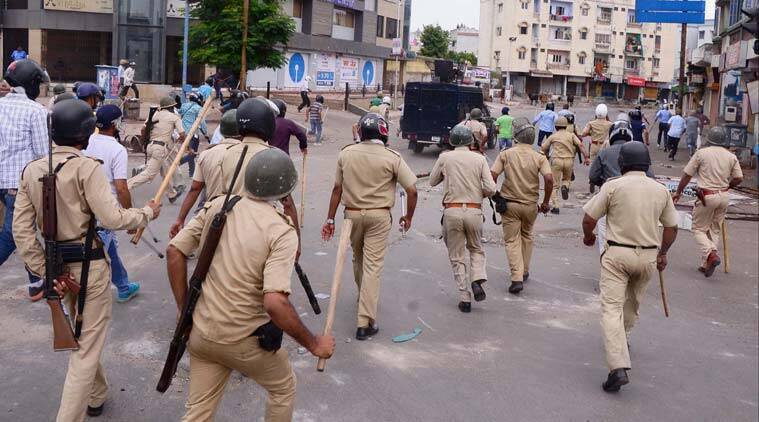 Confirming the FIR, Morbi superintendent of police Rajan Sushra told The Indian Express that Nilesh Arvadiya has been booked for sedition among other charges for not only disrupting law and order but also inciting people to target government using offensive language through audio, video recordings. Sushra said that the FIR has been lodged against Arvadi ​y​a and and his unidentified friend under various sections including sedition. The FIR has been lodged by a police sub-inspector Anant Patel, Division-B police station under IPC sections 124 A (sedition), 153, 153 A, sections 66, 66C of IT acts. The FIR states that Arvadiya and his unidentified friend made audio, video messages using objectionable language against CM, PM and other leaders provoking people to disrupt the law and order in the state. It has been stated in the complaint that these messages were in circulation a day before the PAAS mega rally at GMDC ground in Ahmedabad on 25th August. In the recorded messages, offensive language was used against religions, communities and castes which are highly objectionable. From August 25, these message were in circulation among the PAAS members. According to police sources, there will more such FIRs against PAAS leaders and individuals who have circulated these messages which provoked public sentiments resulting into widespread riots in the state.